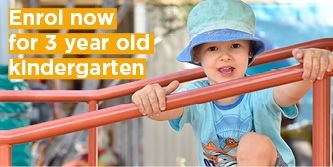 At Keilor Gatehouse Preschool we believe your child is an individual with unique talents, background and personality. Our experience is that children learn best in an environment that nurtures emotional, social, cognitive, physical and communication skills. Our professional educators will strive to empower your child with self-confidence while emphasising the importance of cooperation, sharing and an awareness of others. Play is at the heart of our programs. Our play-based programs are active and voluntary and come from your child’s interests, their logic and need to control and organise feelings. By ‘playing out’ what they see and experience in the real world, your child will gain a greater understanding of the world around them. Our dedicated and experienced educators have designed programs that will encourage your child to develop their independence, personality, ideas and the importance of respect for others. Our educators will facilitate learning activities for your child to explore the world in ways that are interesting and fun. We believe children learn best through a range of experiences with no ‘right’ or ‘wrong’ solution. 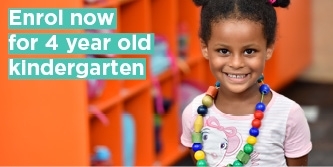 This environment helps nurture self-esteem and a love of learning. We document your child’s learning journey through observation, learning stories, conversations and artwork. These documents are available to you, and we always welcome your input into any aspect of our preschool community. Keilor Gatehouse Preschool has been rated as Exceeding National Quality Standard. Information about the National Quality Standard. We recognise the importance of active play. That's why our programs promote small and large muscle motor development through fun and challenging indoor and outdoor activities. Indoors, we have flexible intimate spaces where your child can play alone or in small groups. Our large outdoor area is perfect for running, exploring and active games.